Last year, shortly after performing in the original bilingual play Strangers in Their Own Land / Extranjeros En Su Propia Tierra, presented by the Imaginists Theatre Collective, actress Laura Roldan was arrested by immigration officers and deported to Costa Rica. The loss of the gifted actress, an important part of the Imaginists' troupe, left the company feeling angry, hurt and itching to do something about it. What they've done is no surprise at all: they've created a new play. Titled A Los Actores / To the Actors and directed by Amy Pinto, the show, which held public previews last week and officially opens this weekend, is typical of the Imaginists' work in that it is fiercely political, wildly satirical, a little angry, a little optimistic—and perhaps a bit overambitious. In the play, a small bilingual theater troupe plans to go to Arizona with their latest work, which blends the stories of famous and notorious immigrants, including Sacco and Vanzetti, Italian immigrants executed in 1927 after a murder trial now believed to have been motivated by anti-immigrant prejudice. The play-within-a-play also includes Spartacus (ask the Imaginists!) and features a performance, of sorts, by deported actress Roldan, who appears on TV, using new footage of her filmed in Costa Rica. Throughout the show, the troupe must deal with numerous intrusions, including raids from ICE and visits from cloying arts council members, who keep dropping by to see if the company is deserving of a much-needed grant. These visitations lead to some pointed audience participation, with the crowd asked to run around speaking gibberish to fool the immigration police, and to help fool the arts council into believing they are watching a bilingual production of the musical Annie instead of what it really is: a piece of raw, ragged, political theater. 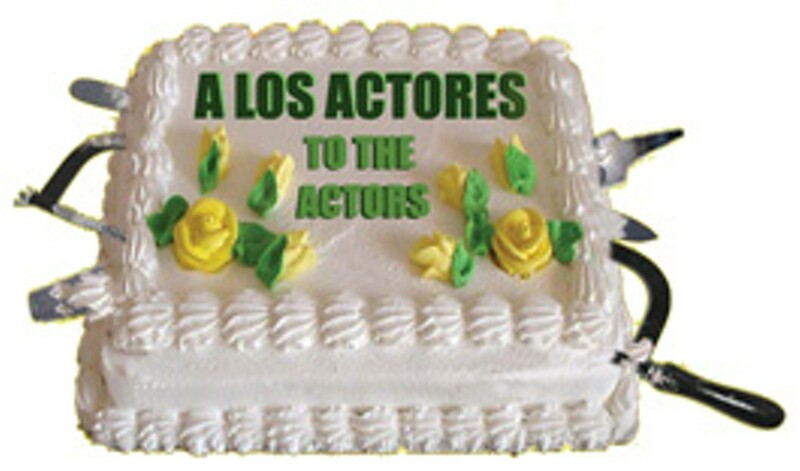 A Los Actores / To the Actors runs Friday&–Saturday through Oct. 9 at the Imaginists, 461 Sebastopol Ave., Santa Rosa. All shows at 8pm. $12&–$15. Special pay-what-you-can night on Thursday, Oct. 7. 707.528.7554.